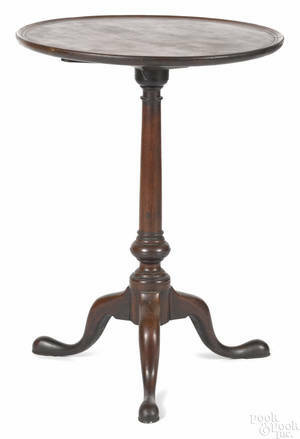 Realized price for Queen Anne oak candlestand, ca. 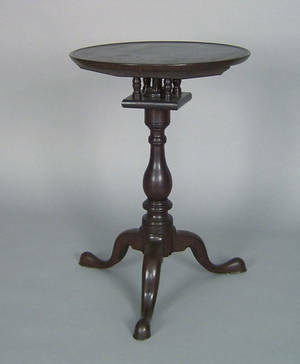 Queen Anne oak candlestand, ca. 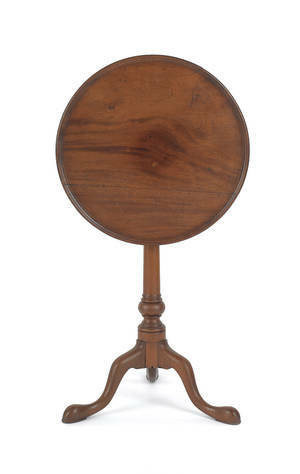 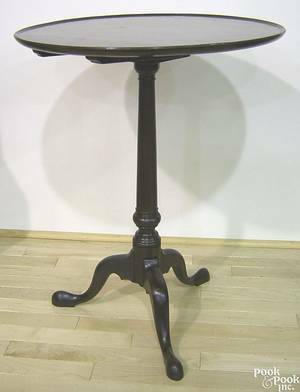 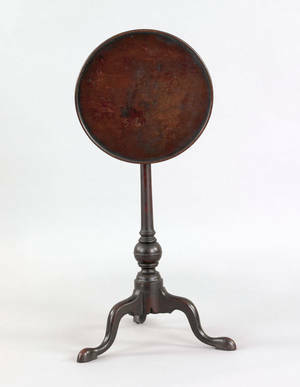 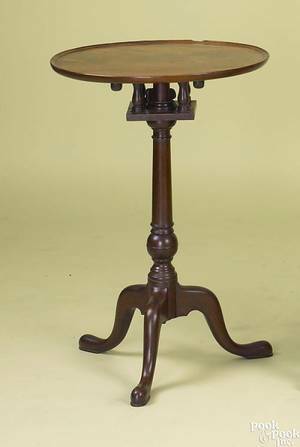 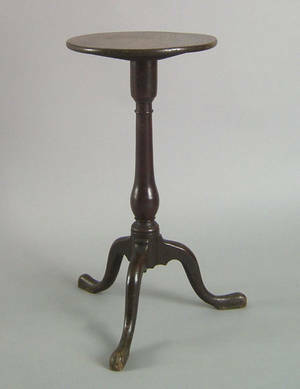 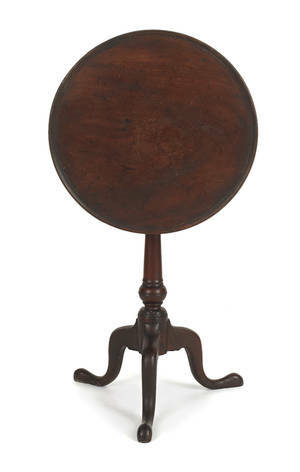 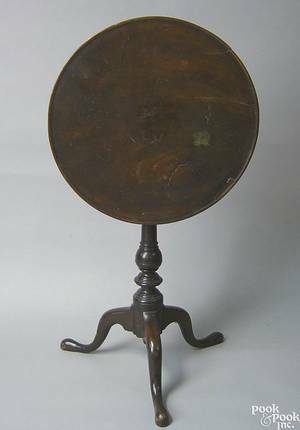 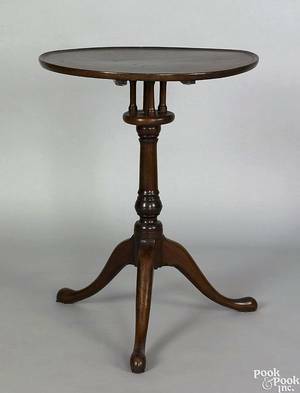 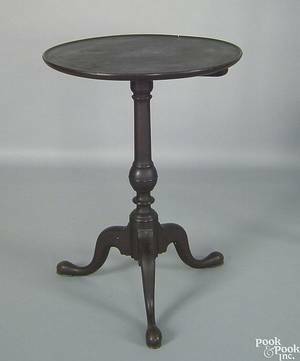 1760 , the circular top above a baluster standard supported by cabriole legs terminating in pad feet, 27 3/4" h., 14" dia.